The Days of Johann, an agility dog! 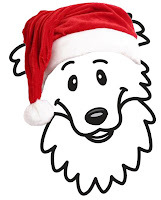 : Day 17 - Johann's Howling Howliday Giveaway! Day 17 - Johann's Howling Howliday Giveaway! Happy Thursday, or as Gracie would say, Fursday! Only two more days until Christmas! We have lots more pawsome prizes we have to give away today! Today is the seventeenth day of Johann's Annual Howling Howliday Giveaway! And there are two more chances to win - today and tomorrow, December 24th, so check back, K? On with the prizes....we have three contributors today who have donated some great prizes for our winner. Our first contributor is our friend Dr. Harvey's and they are donating Two Bags of Power Patties & a 3 lb. Veg to Bowl in a Recyclable Clear Container. Their Veg-to-Bowl is a grain-free dog food pre-mix made with nine different vegetables that when mixed with protein and oil makes a complete all-natural dog food for companion dogs; just mix with your favorite raw or cooked meat and your favorite oil like flax, Omega-3, salmon or more. 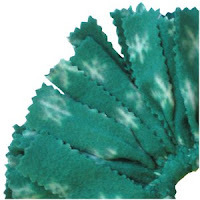 Oh and don't get me started on their Power Patties, they are delicious treats made from freeze-dried raw green tripe. Yum!!! Our second contributor today is Mutt Mops, and they are contributing a Mutt Mop toy to some lucky winner today! At Mutt Mops they believe that a great dog toy should not only energize and captivate your dog, but should survive the harshest treatment and most active play. The Mutt Mop toy can withstand the roughest play by the largest dogs and yet is soft and gentle enough to entertain less active players as well. And, a percentage of profits of the sale of Mutt Mops is devoted to supporting relevant groups and organizations around the country through their Mops Helping Mutts initiatives. Very cool! Our third contributor today is Ark Naturals and they are donating one bag of Breath-less Brushless Toothpaste! Patented by Ark Naturals, their unique outside core of the Breath-less Brushless Toothpaste helps pets' stinky breath. The inside core includes pet toothpaste as well as other ingredients that help support dental health. Ends: handbrushing, wipes, sprays, gels, paste and jumpy pets. Goodbye: plaque, tartar and stinky breath. Ark's products include 'Wellness' products that give them the vital nutrition missing in commercial pet foods and 'Remedy' products that help to solve common pet related problems like joint issues, dental problems, ear, skin and coat problems and more. Remember, I still have that wish! You know the wish from last week that every reader that reads my blog give just one $1 to our designated charity - A Place to Bark? It's easy to donate! If you can give $10 or more, that's pawsome! Just click here to donate $10 or more. If you'd like to donate that $1, you can go to the A Place to Bark How You Can Help Page and click their PayPal button. PayPal will accept any amount you wish to give. We sure would appreciate your help in helping us get some needed funds to A Place to Bark! 1. If you're on Twitter, go to Dr. Harvey's Twitter page and add them a a friend. 2. If you're on FB, go to the Mutt Mops Facebook Page and 'like' them. 3. Go to the Ark Naturals website and subscribe to their newsletter. 4. And while you're over on FB, I'd love if you liked my page too! 5. Then come back to this blog post and leave your name and email address (can't win without it!) in the comments and let us know you did all the good stuff above. If you feel uncomfy leaving your email addy in the blog post, you can email it to me directly. And, if you're not on FB or Twitter, go visit our generous contributor websites, then come back here and leave your comment with contact info in the comments, K? That's it, now go get started...you have until 11:59 PM ET tonight (December 23, 2010)! For all the fine print rules, click here. Contest is open to all US residents, 18 years or older in the 48 contiguous US states. Apologies to our friends North and South and across the pond. EDIT: We have a winner! Kim and the Spotties are the winners of todays giveaway, congratulations! Hi Johann! I really enjoy your howliday giveaway...it gives me the opportunity to visit product websites that I wouldn't ordinarily find on my own. We went to all 3 products sites (and Mutt Mops will definately be a favorite for my girls!). My contact info is kimberly dot annis at gmail dot com. did all of the above, except twitter! All done! 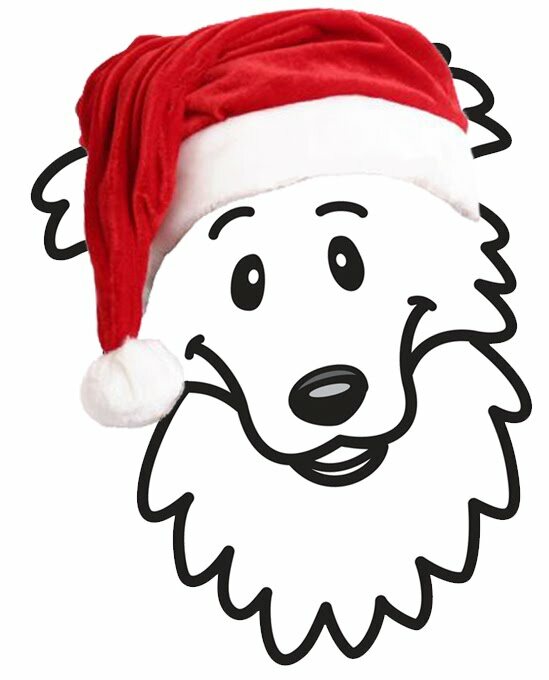 Happy Howlidays Johann!